You don’t make it all easy to be Black when people like myself are put into situations that make it awkward for us to be ourselves. Actually, let me not speak for the whole race, and let me speak for myself. There’s a lot that I could relate to with this movie, and when I initially saw the concept trailer for it, I was all behind it. When it was announced that it was going to be made into an actual movie, I was excited. I’ve watched, witnessed, laughed, and got a bit angry. 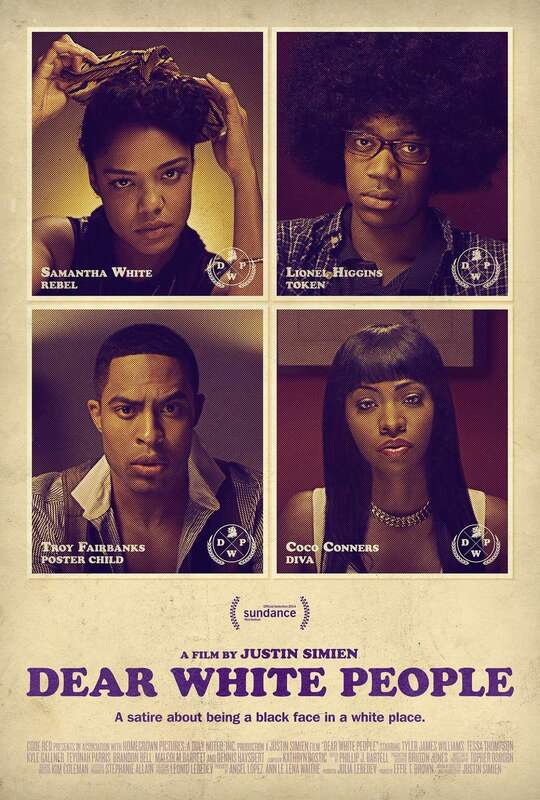 The premise of this movie stems from the classic movie School Daze, but with the added twist that instead of it being an all Black college, it’s a racially divided mock Ivy League school that places Black students as the minority, which is very common, especially if you go to certain colleges & universities in North America. This movie comes at a time where race is still being discussed, because it seems as if Black culture is yet to be understood and racism is very much alive as tensions between Blacks and Whites are still evident (it pretty much will be forever). This movie is satirical, which means that it’s not meant to be directly throwing shots at black & white people, but rather to poke fun at just how both Black & White people act in certain settings – like what The Boondocks was famously known for doing. Being that it’s in an educational setting, one of the prime foundations where you’ll find racial tensions & divisions, it was interesting to see how it would play out. There are 4 characters in particular that each served their own purpose in the roles of different Black individuals. Sam White is the vocal leader of the ‘revolution’ whom is adamant on bringing back a heightened sense of Afrocentric ideologies to a university that has lost its way of diversity. Her character is your pro-black, stand-up woman who wants nothing more than to fight for respect of the administration for her people. We all have one of those traits, but some have it more than others. Colandrea ‘Coco’ Connors plays the Black girl whom doesn’t embrace her blackness and tries to be in with the whites because conforming will help benefit her future. We also have some of that in our personality, because well, it’s a white world we live in. Lionel Higgins is your awkward black guy who doesn’t have a true identity, so he doesn’t fit in with the whites or the Blacks. He’s in the grey area. Some of us can relate to that. And finally, there’s the Black guy that older white America accepts (or at least thinks they do) – that’s Troy Fairbanks. The harmless brother who’s smooth around the edges, innocent in portrayal, but isn’t at all loved by his own, because he isn’t necessarily down with the cause. There are four different personalities, and whereas white people already group Black people into their own categories, Black people themselves don’t make it any easier to live with because there’s always something that they won’t like about you. This movie held down, while being satirical, an accurate representation on different angles of being Black in an environment where there aren’t many. There are those who are pitted against each other, those who want to fit in, those who allow white people to ‘have their way’ just to let it go by, and those who just don’t know how to react. With my experiences in college, I definitely had a taste of (almost) every focused character that was portrayed in this movie. It brought about bad memories, because the movie is surrounded by a controversial party (I won’t spill details, but you’ll get an idea of what it is) and I have witnessed it firsthand. There are funny moments through various references like the golden rule about touching Black people’s hair (seriously, don’t touch it – I don’t know you like that) and poking fun at other stereotypes that we not only have of ourselves, but of what white people have for Black people. While the focus was on the Black students, the white students really did do their part in portraying what’s actively going on in modern-day society at almost every university/college campus and even high school. They see Black culture on television, movies, and hear it in music. They take what they hear, apply to their lives, and then they feel like they ‘understand’ what Black people go through. Sorry, but that’s not the case. It doesn’t matter how many rap albums you’ve heard or how many times you’ve watched Roots, Amistad, or 100s of Black movies to understand the culture, it just won’t happen. Race is one topic that people don’t like to discuss, and want to sweep under the rug because they constantly say to ‘get over it’ and ‘not everything is about race.’ You know what? There is some truth to that. Not everything is about race, but that doesn’t mean that it doesn’t exist. It’s not something that’s just going to ‘go away’, so saying to ‘ignore it’ isn’t going to help anyone. It’s movies like this one that open up the discussion to obviously make things uncomfortable, but at the same time, these aren’t just fairytales plucked out of thin air of imaginative black individuals, this type of stuff really happens.